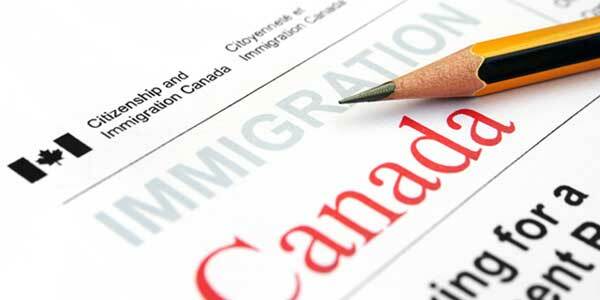 Does a DUI Reduced to Reckless Driving Affect Entry to Canada? If it is a person's first offense, and there was no motor vehicle accident or dangerous driving involved, it is common in many states for a DUI or DWI to get reduced to a lesser charge such as reckless driving (including wet reckless and dry reckless), negligent driving in the first or second degree, dangerous driving, or reckless endangerment. While this is a significant reduction from impaired driving, it is still typically a more serious offense than careless driving, improper driving, or driving without due care and attention, and can render an individual excludable from Canada. Depending on the exact wording, a reckless driving charge in the United States may be equivalent to the charge of "dangerous operation of a motor vehicle" in Canada. This hybrid infraction, found in section 249(1)(a) of the Canadian Criminal Code, may be an indictable offense punishable by up to ten years imprisonment, and as a result, any foreign conviction that equates to this crime can render a person inadmissible to Canada for life. In December 2018, Canada passed new impaired driving laws and as a result crimes such as reckless driving, hit and run, flight from a police officer, and operating with a suspended license are now considered serious criminality. Consequently, an American with a past offense that equates to one of these crimes is no longer eligible for automatic Deemed Rehabilitation after ten years and could be at risk of a border refusal forever unless they have successfully attained special permission to enter the country. Depending on the exact nature of an individual's situation, in rare occasions, it could potentially be shown that the circumstances which resulted in a person's charge are not the equivalent to the essential ingredients of the offense in Canada. The Canadian Supreme Court has ruled that Canada's dangerous operation of a motor vehicle statute is narrower than a reckless driving statute in USA, for example, meaning it may be possible, albeit unlikely, for a reckless driving charge from the United States not to exclude a person from entering Canada. If a DWI is reduced to a traffic violation such as an unsafe start or obstructing a roadway, it may also be achievable for the person to travel to Canada without a Temporary Resident Permit or Rehabilitation, but they should always consult with a Canadian immigration lawyer ahead of time. A skilled drunk driving defense attorney may help secure a reduced charge with a reduced sentence for a first-time DUI offender. In states such as California, the first level of DUI reduction that is generally offered by the prosecution is a "wet reckless" or "wet and reckless" driving. While a wet reckless can be a lucrative plea bargain depending on a drunk driver's case, it still implies that the individual was involved in an alcohol or drug-related driving offense. Admissibility to Canada is determined by the Canadian equivalent of an infraction, and the language of the wet reckless vehicle code may cause a person to be considered criminally inadmissible to Canada since any indictment related to driving under the influence of alcohol may render a person inadmissible for entry according to Canadian immigration law. For this reason, alcohol-related reckless driving (wet reckless) arrests and convictions can prohibit entry into Canada. A "dry reckless" is a misdemeanor driving offense often defined as driving with a flagrant disregard for people or property, and the language of this vehicle code generally does not mention alcohol. The equivalent offense in Canada can often be tried on an indictment, however, which means it is still a serious enough crime to render an American criminally inadmissible to Canada and put them at risk of a border denial. For this reason, a person may still be turned away at the Canadian border with a DUI plead down to dry reckless. Likewise, an individual charged with reckless driving due to a car accident or street racing incident can also have trouble visiting Canada, but an attorney should always be consulted about your specific case. Excessive speeding is not a federal crime in Canada. Consequently, speeding offenses in the US will ordinarily not cause complications at the Canadian border unless for some reason they equate to reckless driving, dangerous driving, careless driving, or another crime that could be classified as severe. If you want to discuss the ramifications your DUI reduced to a reckless driving charge could possibly have on your admissibility to Canada, call us today or fill out our free assessment form. Our Canadian immigration law firm offers free consultations, and we will typically contact you within 24 hours to discuss your precise situation.